Let we help you with the Sun hardware you require, at significant savings! Whether you need SPARC II based 420Rs, AMD based Sun servers, T5240s or M5000s; we can show you significant cost savings and the benefits of Sun hardware. All systems are thoroughly tested, professionally packed and warrantied. 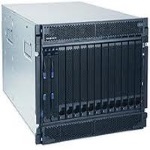 Technical assistance is available for your custom configured Sun hardware from Maxicom Global.